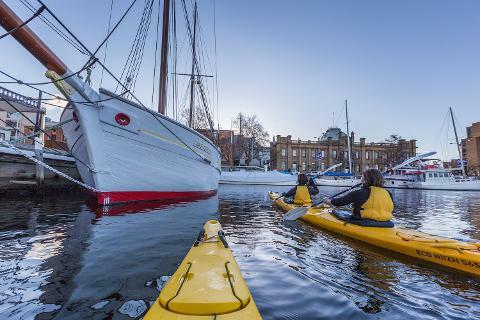 Hobart is Tasmania's lively capital that retains an old town salty-air feel; where you can have early morning sand between your toes, wander city streets, eat world class food, head to a mountain summit and be back in time for cocktails on the waterfront. 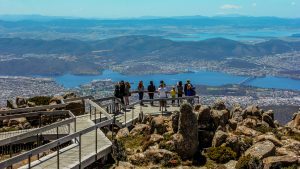 Hobart is the capital of Tasmania, situated on the River Derwent in the shadow of majestic Mount Wellington. 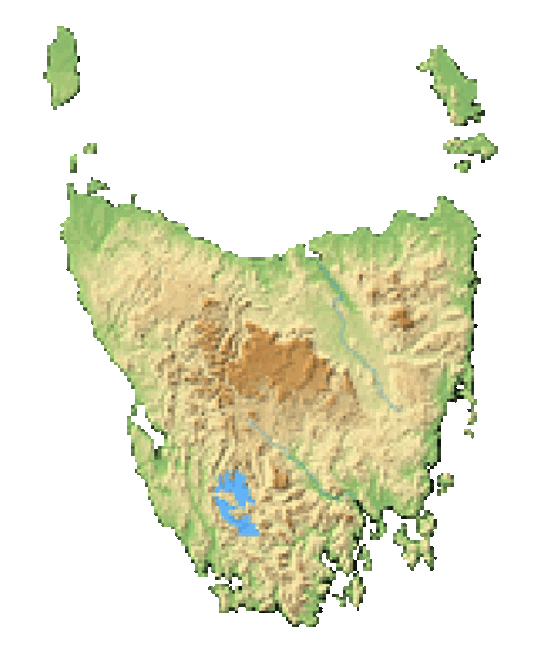 Tasmania's capital where mountain and sea collide. 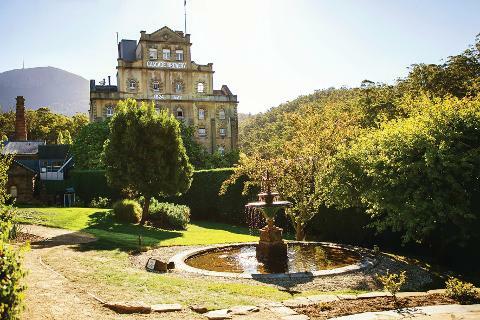 Hobart is humming – it’s Tasmania’s lively capital that retains an old town salty-air feel. This slower pace, once the chuckle of Australian city counterparts, has now become an endearing drawcard. 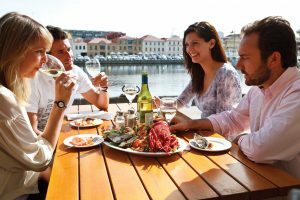 Boutique hotels are filled to the brim and visitors are flocking to this harbour-side city in numbers not seen. What’s all the fuss? It’s probably because you can have early morning sand between your toes, wander city streets, head to a mountain summit and be back in time for cocktails on the waterfront. This compact capital is a liveable city. A vibrant city. A place where people still say hello – their relaxed pace now on trend in a busy world. We didn’t mention it began as a penal colony in 1804, but that’s another story. Don’t be tricked by the small scale of Hobart. There’s so much here for the curious visitor. 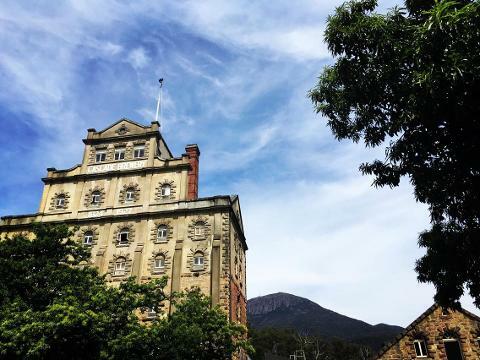 If you like the sound of unearthing a new craft beer, delving into history that dates back to Australia’s earliest days and hopping on a ferry to MONA, a museum that’s reinvented what museums are all about, then Hobart is for you. 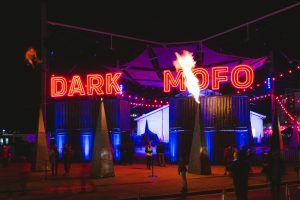 Great live tunes, independent stores, mind-pausing art, and food so fresh you’ll be wiping the dirt off spuds the farmer plucked from the earth that morning. That’s if you’re cooking up your own feast. 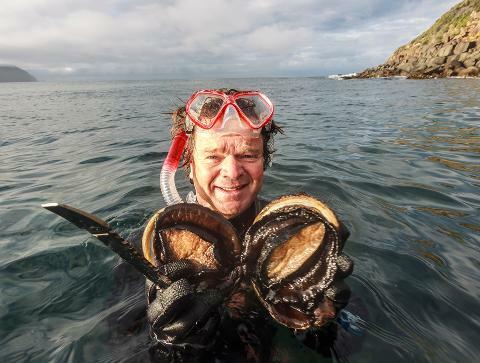 Alternatively, leave it to the first-class chefs that are descending on the island (or hurriedly returning), hungry to showcase the island’s produce. 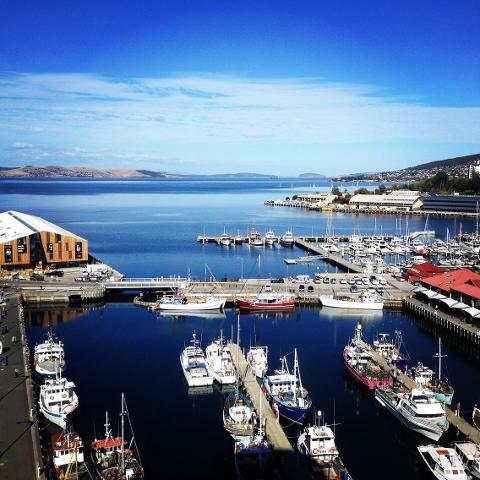 What makes adventure Hobart’s middle name, is that it hugs the city. 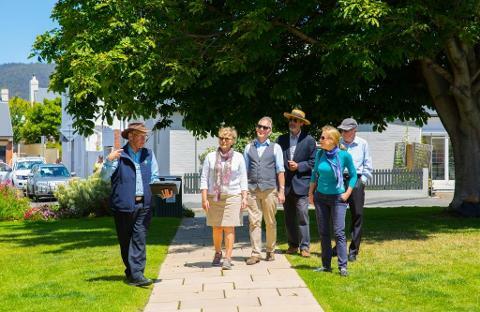 Walk along a pathway connected to the city streets and within a short stroll you’ll feel the ever-present being and shadows cast by Kunanyi/Mount Wellington. Don’t be distracted if a platypus raises its head nearby to Cascade Brewery. Those seeking adrenaline-style adventure, take a bike tour and descend this 1271-meter Godfather that watches over the city. The thrills end back on the streets of Hobart where a well-deserved ale awaits. Ah history. We have plenty of that. It’s history that goes back to the beginning of Aussie times. There’s stories of indigenous Tasmanians, explorers, mining, agriculture, lost husbands in world wars and piners seeking out famed Huon pine. Indigenous stories date back thousands of years and are evident in middens and the way our early Tasmanians touched the landscape lightly. Our more modern history of European exploration and settlement is young in many respects. It’s a tiny patch of time. About 40 minutes from Hobart is the country’s first golf course set up by a Scottish fellow who wanted a taste of home. 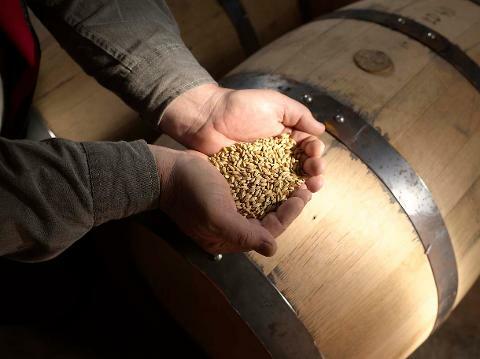 It happens to be very close to a whisky distillery. Then there’s Port Arthur Historic Site. It’s the type of history that captivates crowds. 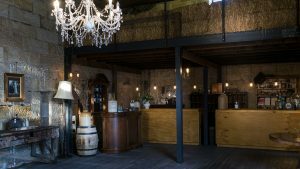 Once looked upon as a dark blemish few spoke of, these days people are rather proud when they head to Port Arthur and come to find they have convict blood. In Hobart you’re welcome to a four white-walled stay in a chain hotel. We have plenty of those. In fact, they seem plenty full. Delve a little deeper and there’s a place slipped away in the forested suburbs filled with hundreds of library books, the collection of a well-known writer. There’s hostels that are not for the average backpacker but instead offer a help-yourself veggie patch, views of the mountain and bikes for those with a penchant for riding to MONA. Go all out, and stay at the waterfront’s latest hotel, so close you can nearly cast a fishing line from the penthouse suite or settle for something in between. Then there’s the inner-city pillows and art hotel to rest your head. Take your pick. 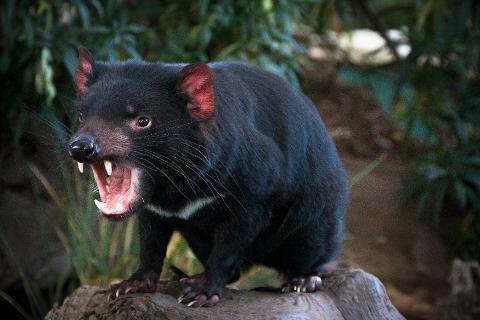 • If you love wildlife there’s some excellent opportunities with wildlife parks on the outskirts of Hobart. • Hobart kicks in to a new gear around Christmas and New Year. The Sydney to Hobart yachts are making their way in, pro musicians are strumming, the Taste Festival is buzzing and buskers fill street corners with all manner of tunes. • For those who like a dip at the beach, head for Seven Mile or Bellerive Beach and grab some fish and chips. For the surfers, there’s Clifton and Park Beach that provide great waves. 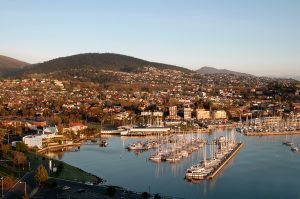 There’s plenty of ways to pop down to Hobart. Come by air to our ‘international airport’ but don’t expect there to be seventeen take offs in line when you land. 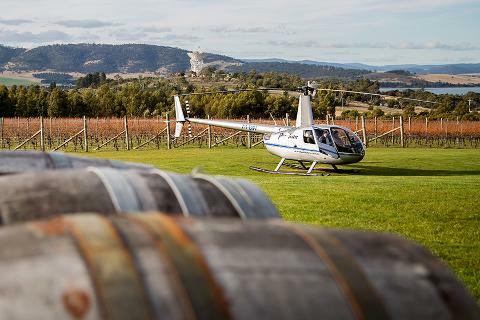 Hobart International Airport is growing due to fierce demand but it’s not L.A. As with the joy of Tassie, only a 15 minute commute and you’ll be in the heart of Hobart. You can even post a letter at the GPO. There’s friendly bus drivers to deliver you to your accommodation and the cab fare to the city won’t break the bank for your trip to SalamancaMarket. Alternatively, take the ferry from mainland Australia. The Spirit of Tasmania departs from Melbourne and arrives in Devonport. This little northwest town is well worth exploring. From there, head for Hobart via the Heritage Highway that will take just over 3 hours. 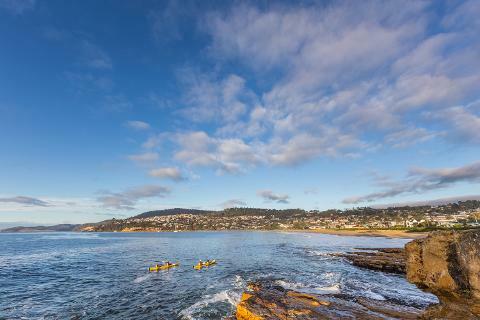 Enjoy an relaxing day paddle exploring the spectacular cliffs, caves and beaches of the Tinderbox Marine Reserve. 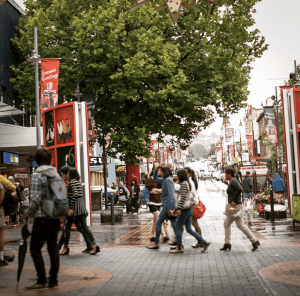 A wander around Salamanca Place, home of the iconic Salamanca Markets or enjoy the stunning 360-degree views from Mt Wellington. 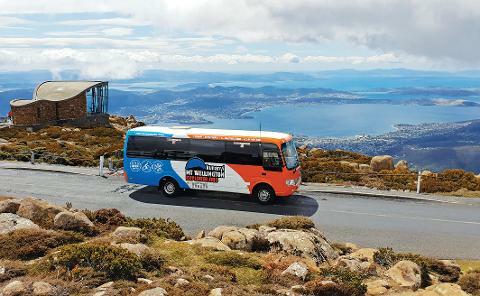 Come and see kunanyi/Mt Wellington and visit some of the most famous attractions of Hobart. Get ready for a day of Culture, lifestyle, art, adventure, nature, produce and wildlife. As we leave no stone unturned. 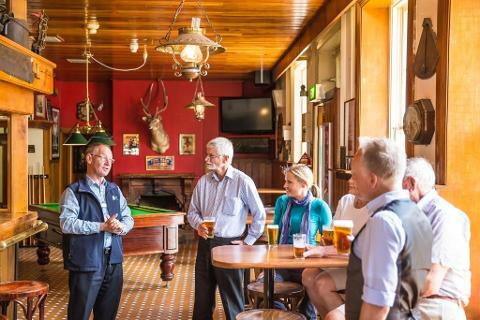 Characters, pubs, alleys and ales… join us for a tour of Hobart’s intriguing history of watering holes.